1. Where do we meet for class each day? We switch from indoor and outdoor classes primarily based on the weather. Like our Facebook page: River Market Boot Camp for updates about where we will be and what you will need each day for class. We usually post a few hours in advance to keep campers informed. 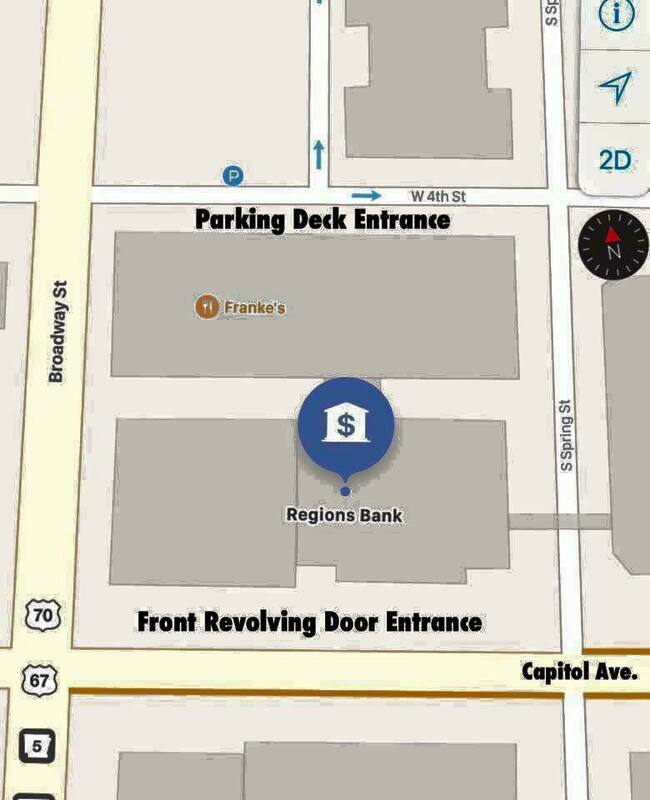 We meet outside at the Clinton Presidential Library and inside at the Regions Bank Building in downtown Little Rock on the 3rd floor (Club Fit). See map below. 2. What types of workouts do we do daily? 3. Is this class for ALL fitness levels? I haven't worked out in years! Boot Camp is for ALL AGES and fitness levels! You don't need to stress about not being fit before you get to us. That's what were here for. We will never ask you to do something that we perceive is out of your physical limitations and we offer modification when needed. 4. What type of equipment is needed? YOGA MAT - When your looking for a yoga mat, make sure you get a nice THICK one for boot camp! You're going to want some padding under those elbows and knees while your working out. DUMBBELLS - When your looking for dumbbells, make sure you get the rubber or foam coated weights. Metal dumbbells can be dangerous when dropped and are not recommended for Boot Camp! WORKOUT GLOVES - Whether you're lifting weights or dropping to crank out a set of push-ups, a nice pair of exercise (Weight Lifting) gloves are great for protecting your hands at Boot Camp. We strongly recommend a set of padded, breathable gloves for ALL of our clients. WATER BOTTLES - Keeping properly hydrated is one of our most important rules at River Market Boot Camp. Always bring a nice ice cold bottle of water with you each day to class!